I want to start out by mentioning that this is the first ever skin care product that has earned six stars in any category. 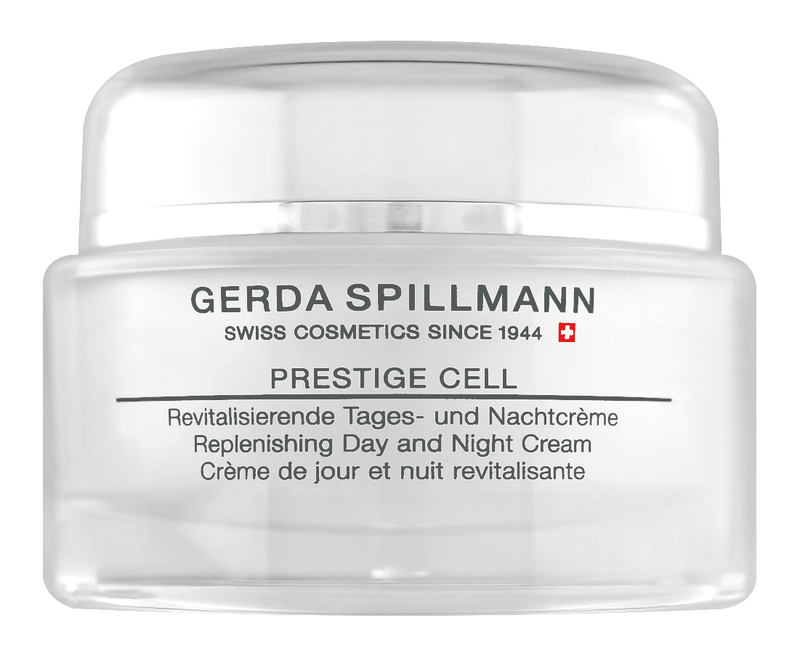 Gerda Spillmann is a Swiss brand, that has only been available directly to consumers in the USA for the last few years. All of the ingredients are botanically derived so it is potent, long lasting, and effective. I am going to just jump in with my personal experience with Prestige Cell here. I got a foil sample of this product, and my first thought was "that's not enough for me to try it more than twice". As you know I do not review any skin care on my blog if I haven't used it for a full week. But I decided to try it because I have some bad skin. How? When I was sixteen I had the chickenpox. I am a picker, so I got out of that with a lot of chicken pox scars. Along my jaw line I have chicken pox scars and acne. No matter what I try, even when my skin is "clear" it doesn't look clear because of scarring. I hate it. This product said it would repair damaged skin, and create a smooth and clear surface. I have tried a lot of products that claim to do this, but outside of getting rid of some acne, nothing ever seems to diminish my scarring and heal my skin. So now let me break down the scores. The packaging for the full sized product is sturdy, and feels luxurious. I knocked it down one point because I feel it looks to plain and clinical. It is scentless. I am all for scentless. There is a faint natural fragrance, but nothing added to make it smell a certain way, and it's so faint that I certainly don't mind it. This product was ultra hydrating. Like "no more flaking on my nose" levels of hydrating. I was super impressed. My acne was gone after two nights, and my scaring is almost gone you guys! I am not kidding or making this up! It took about 6 days for my scaring to vanish! I only wish I had taken a before photo, but I didn't think I would be reviewing this, because I thought I would only use it for a couple of days. But that little foil packet? It lasted me 8 DAYS! A little of this goes a super long way, and I am incredibly impressed by this product! It is well worth the cost and does exactly what it says it will! I am definitely putting in my order for the full size as soon as possible! 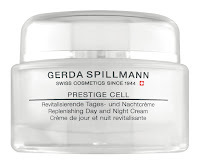 Use the discount code AngelaW2018 to get free shipping on your next order at GerdaSpillmann.com and click here to learn more about the Gerda Spillmann Prestige Cell.